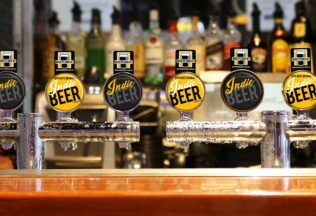 The Independent Brewers Association (IBA) has launched its own seal of independence to help consumers easily identify which beers are locally owned by independent Australian brewers. The IBA hopes that the launch of the seal will help shift consumer demand away from industrialised beer to local products, especially as foreign owned multinational brewing companies are increasingly creating new ‘craft beer’ brands. Encouraging consumers to use the hashtag #askforindiebeer on social media, the seal will first appear on products over the coming months. It will be present on beer packaging, vessels and tap points of the brewers signed up to the movement. IBA board member Will Tatchell said the movement is focused on educating beer drinkers in Australia. Similar marks of independence are being used overseas, with the US Brewers Association recently launching their own Independent Craft Brewer seal. “The trend towards locally brewed, hand-crafted beer made by small independent breweries is not a fad, it is a fundamental shift on a global scale that is bigger than just beer and more so about the stories behind the product,” said Tatchell. First launched in 2012 under the Craft Beer Industry Association banner and rebranded as the Independent Brewers Association in 2016, the IBA sets itself to be the voice of independent brewers across the nation. Currently, 50% of the nation’s craft brewers are a part of the IBA, with all IBA members eligible to use the seal by entering into a license agreement through the IBA website.